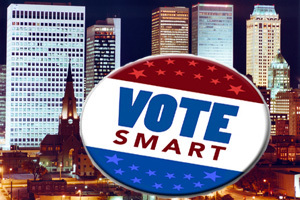 Tuesday Oklahomans vote to set the stage for the November general election. Please consider carefully each choice for leadership in every contest. Headliner races have flooded mailboxes and airways with messages both hopeful and spiteful, but down-ballot contests offer critical contrasts. 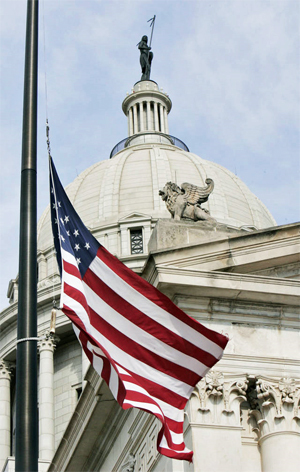 With a total of 32 runoff elections for Oklahoma legislative seats; four settle a nominee in the Senate and 28 determine candidates in the House. No incumbent Democrat will appear on the ballot and there are only seven Democratic legislative runoffs, but some Democrats have registered Republican. Our favorite of those is Louise Redcorn running for Oklahoma House District 36 seat held by Rep. Sean Roberts, R-Hominy. According to the Pawhuska Journal-Capital, “Red Corn, 59, has been a news reporter since she was 25-years old, and was publisher of The Bigheart Times from 2006 until the newspaper sold in February to Gatehouse Media, the parent company of the Pawhuska Journal-Capital. Red Corn said she made her home in Pawhuska in 2004 after working for The Associated Press in Italy, Time Magazine, the Biloxi (Miss.) Sun-Herald, Detroit Free Press, Lexington (Ky.) Herald-Leader,and the Tulsa World.” Click for more. This writer worked with Redcorn as a reporter and she is a talented writer. She also confirmed the Tulsa World blackballed individuals specifically to harm their careers and limit local conservative ideology, but she is a Liberal. Redcorn is also rumored to have rallied Democrats with calls to “take over the Republican Party” and a stack of voter registration forms at public meetings. Redcorn avoided interview requests from Tulsa Today. Kent Glesener (left) is endorsed by former- Rep. Mark McCullough (right) and former-Rep. Pam Peterson. Political observers are also watching Conservative Rep. George Faught of Muskogee and RINO (Republican In Name Only) Mark Lawson of Sapulpa. The question is how attentive and supportive their constituents may be to each candidate’s voting record. Faught is expected to win, but has been very outspoken on multiple topics. Lawson is challenged by a Conservative Businessman, Kent Glesener a pro-life, NRA endorsed and President Trump supporting candidate. Glesener ran on; principles not politics, reduce regulation and demand quality education. 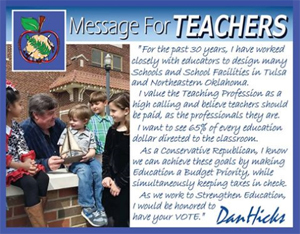 Glesener’s message appears to resonate with district voters. In Tulsa, City Councilor and Public Union activist Karen Gilbert has avoided debate in the District 79 race in East Tulsa and Broken Arrow. Gilbert supported a sign ordinance her campaign doesn’t follow (click for more) and is known as a simpleton tool of the power elite challenged in this open seat contest by Dan Hicks, a conservative neighborhood activist. Long established conservatives Jadine Nollan of Sand Springs and Mike Ritze of Broken Arrow are also in run-off contests. For governor, Tulsa Today has endorsed Kevin Stitt. Click for more. 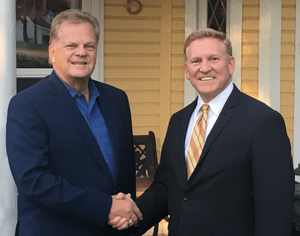 For U.S. Congress in the First District, Tulsa Today has endorsed Kevin Hern. 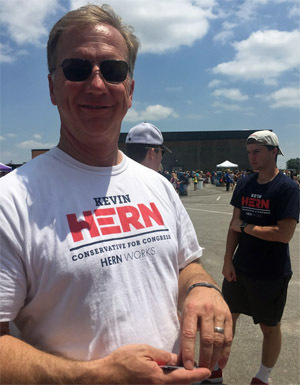 Individually, Hern (click for more) and Tim Harris (click for more) interviewed and debated, but our analysis favors Hern because of his business experience and conservative President Trump supporting positions. While we appreciate Tim Harris’ service as Tulsa County District Attorney, America needs more lawyers in Congress like we need another hole in our national heart. Click here for more down ballot contest reviews and analysis. This entry was posted in State on August 28, 2018 by admin.